Abnormal posture is linked to the development and progression of many spinal conditions and injuries. Normal posture is when the head, the ribcage and pelvis are perfectly centered on each other. 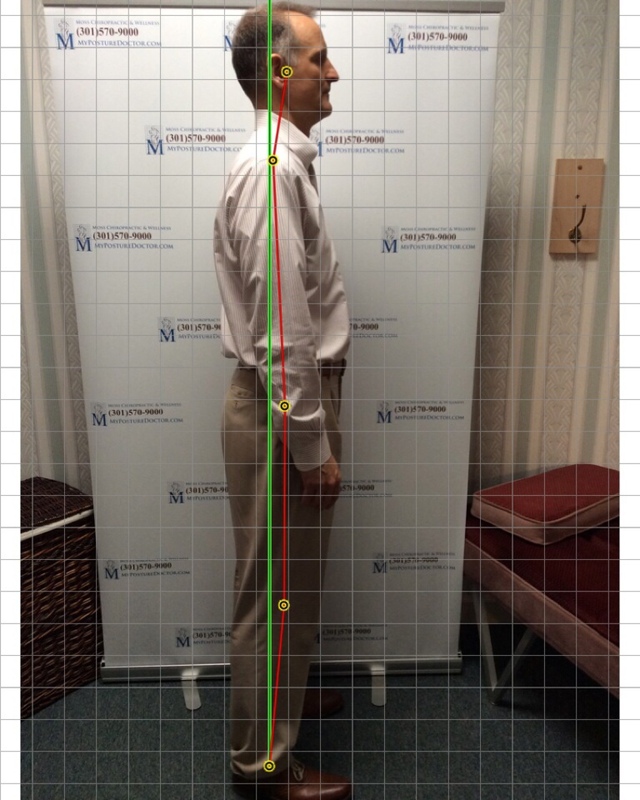 At Moss Chiropractic and Wellness, we believe that we can determine a Posture Number for each patient to show where mirror-imaging adjustments need to take place in the body. 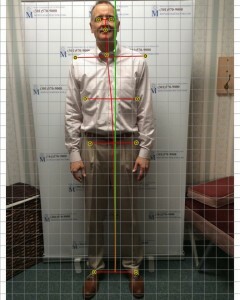 We will record the amount of displacement of the head, ribcage and pelvis to determine your Posture Number. Unless you have recently been injured, most of us have had our abnormal postural displacements for years and sometimes decades. Research has demonstrated that in order to see appreciable strength gains, exercise must be performed for a minimum of 9-12 weeks. 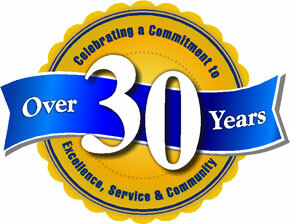 At Moss Chiropractic and Wellness, we are involved in the community. That gives us a chance to meet you and give you the opportunity to get a “Posture Picture” on the spot! In the span of just 4-5 minutes, we can take a front view and side view picture of you, plot your posture points and almost instantly email your own Posture Picture for you to look over. If your posture looks off, you can schedule a time to come into our office, sit down and talk with Dr. Gabriella Moss to see if we can help you. All of this is at NO COST to you. 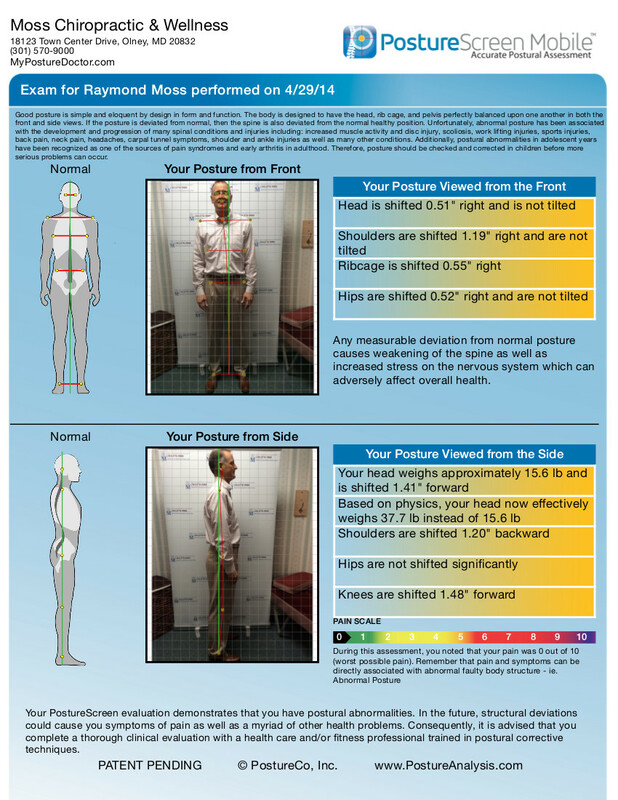 If you’ve had a Posture Picture taken recently and have questions about your results, call us here in the office to set up a time to meet which is convenient for you. You could also request an appointment in the upper left corner here on our website. If it’s determined that we can help you, a more thorough Posture Print will be taken of you and we will discuss the best treatment options for your condition. Are you a good candidate for chiropractic care? Find out! Give us a call today!